The president has long sold himself as a self-made billionaire, but a Times investigation found that he received at least $413 million in todays dollars from his fathers real estate empire, much of it through tax dodges in the 1990s. The investigation also draws on tens of thousands of pages of confidential records – bank statements, financial audits, accounting ledgers, cash disbursement reports, invoices and canceled checks. Most notably, the documents include more than 200 tax returns from Fred Trump, his companies and various Trump partnerships and trusts. While the records do not include the president’s personal tax returns and reveal little about his recent business dealings at home and abroad, dozens of corporate, partnership and trust tax returns offer the first public accounting of the income he received for decades from various family enterprises. The most overt fraud was All County Building Supply & Maintenance, a company formed by the Trump family in 1992. All County’s ostensible purpose was to be the purchasing agent for Fred Trump’s buildings, buying everything from boilers to cleaning supplies. It did no such thing, records and interviews show. Instead All County siphoned millions of dollars from Fred Trump’s empire by simply marking up purchases already made by his employees. Those millions, effectively untaxed gifts, then flowed to All County’s owners – Donald Trump, his siblings and a cousin. Fred Trump then used the padded All County receipts to justify bigger rent increases for thousands of tenants. Aside from an astonishing work ethic – “Sleeping is a waste of time,” he liked to say – the growth reflected his shrewd application of mass-production techniques. The Brooklyn Daily Eagle called him “the Henry Ford of the home-building industry.” He would erect scaffolding a city block long so his masons, sometimes working a second shift under floodlights, could throw up a dozen rowhouses in a week. They sold for about $115,000 in today’s dollars. By 1940, American Builder magazine was taking notice, devoting a spread to Fred Trump under the headline “Biggest One-Man Building Show.” The article described a swaggering lone-wolf character who paid for everything – wages, supplies, land – from a thick wad of cash he carried at all times, and whose only help was a secretary answering the phone in an office barely bigger than a parking space. “He is his own purchasing agent, cashier, paymaster, building superintendent, construction engineer and sales director,” the article said. As ground lease payments fattened his children’s trusts, Fred Trump embarked on a far bigger transfer of wealth. 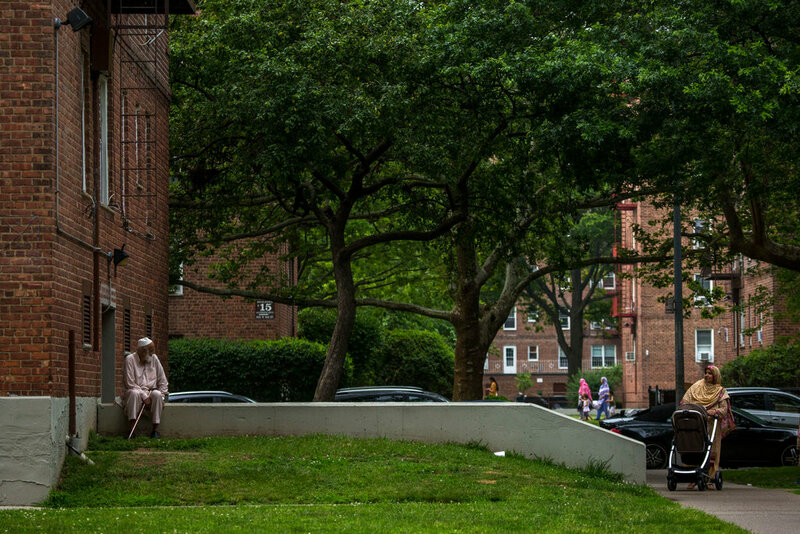 Records obtained by The Times reveal how he began to build or buy apartment buildings in Brooklyn and Queens and then gradually, without public trace, transfer ownership to his children through a web of partnerships and corporations. In all, Fred Trump put up nearly $13 million in cash and mortgage debt to create a mini-empire within his empire – eight buildings with 1,032 apartments – that he would transfer to his children. Fred Jr., seven and a half years older than Donald, had also worked for his father after college. It did not go well, relatives and former employees said in interviews. Fred Trump openly ridiculed him for being too nice, too soft, too lazy, too fond of drink. He frowned on his interests in flying and music, could not fathom why he cared so little for the family business. Donald, witness to his father’s deepening disappointment, fashioned himself Fred Jr.’s opposite – the brash tough guy with a killer instinct. His reward was to inherit his father’s dynastic dreams. The plan involved the mini-empire – the eight buildings Fred Trump had transferred to his children. He converted seven of them into cooperatives, and helped his children convert the eighth. That meant inviting tenants to buy their apartments, generating a three-way windfall for Donald Trump and his siblings: from selling units, from renting unsold units and from collecting mortgage payments. 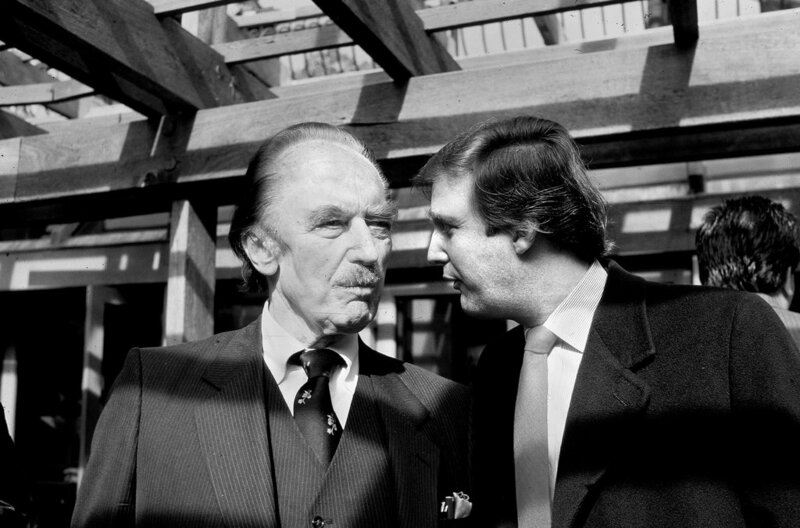 Co-op sales, mortgage payments, ground leases – Fred Trump was a master at finding ways to enrich his children in general and Donald Trump in particular. Some ways were like slow-moving creeks. Others were rushing streams. A few were geysers. But as the decades passed they all joined into one mighty river of money. By 1990, The Times found, Fred Trump, the ultimate silent partner, had quietly transferred today’s equivalent of at least $46.2 million to his son. Bailouts, collateral, cash on hand – Fred Trump was prepared, and was not about to let bad bets sink his son. Tax records also reveal that at the peak of Mr. Trump’s financial distress, his father extracted extraordinary sums from his empire. In 1990, Fred Trump’s income exploded to $49,638,928 – several times what he paid himself in other years in that era. With this ruse – it was an illegal $3.5 million loan under New Jersey gaming laws, resulting in a $65,000 civil penalty – Donald Trump narrowly avoided defaulting on his bonds. This fantastical claim – that Park Briar should be taxed as if its value had fallen 83 percent in 18 days – slid past the I.R.S. with barely a protest. An auditor insisted the value should be increased by $100,000, to $3 million. Later that year, Fred Trump bought $5 million worth of American Airlines stock. Based on the share price – $81.74 – it appears he made the purchase shortly before Mr. Dorfman reported that Donald Trump was taking a stake in the company. Within weeks, the stock was over $100 a share. Had Fred Trump sold then, he would have made a quick $1.3 million. But he didn’t, and the stock sank amid skepticism about his son’s history of hyped takeover attempts that fizzled. Fred Trump sold his shares for a $1.7 million loss in January 1990. A week later, Mr. Dorfman reported that Donald Trump had sold, too. 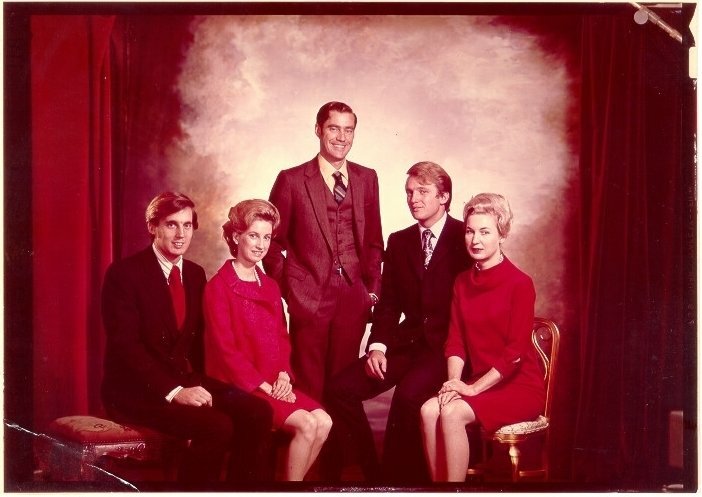 With other family members, Fred Trump could be cantankerous and cruel, according to sworn testimony by his relatives. “This is the stupidest thing I ever heard of,” he’d snap when someone disappointed him. He was different with his son Donald. He might chide him – “Finish this job before you start that job,” he’d counsel – but more often, he looked for ways to forgive and accommodate. 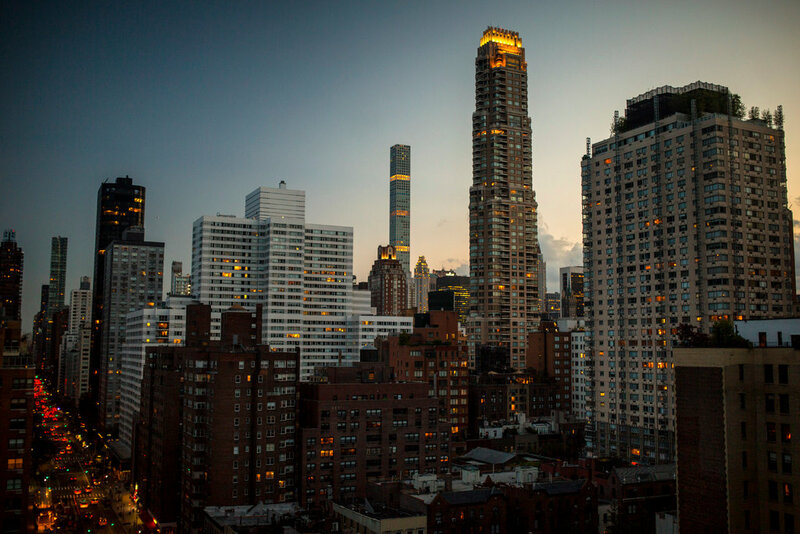 Under state law, developers must file “offering plans” that identify to any potential condo buyer the project’s sponsors – in other words, its owners. The Trump Palace offering plan, submitted in November 1989, identified two owners: Donald Trump and his father. But under the same law, if Fred Trump had sold his stake to a third party, Donald Trump would have been required to identify the new owner in an amended offering plan filed with the state attorney general’s office. He did not do that, records show. Property records show that condo sales there were brisk in 1991. Trump Palace sold 57 condos for $52.5 million – 94 percent of the total asking price for those units. By failing to tell the I.R.S. about his $15.49 million gift to his son, Fred Trump evaded the 55 percent tax on gifts, saving about $8 million. At the same time, he declared to the I.R.S. that Trump Palace was almost a complete loss – that he had walked away from a $15.5 million investment with just $10,000 to show for it. 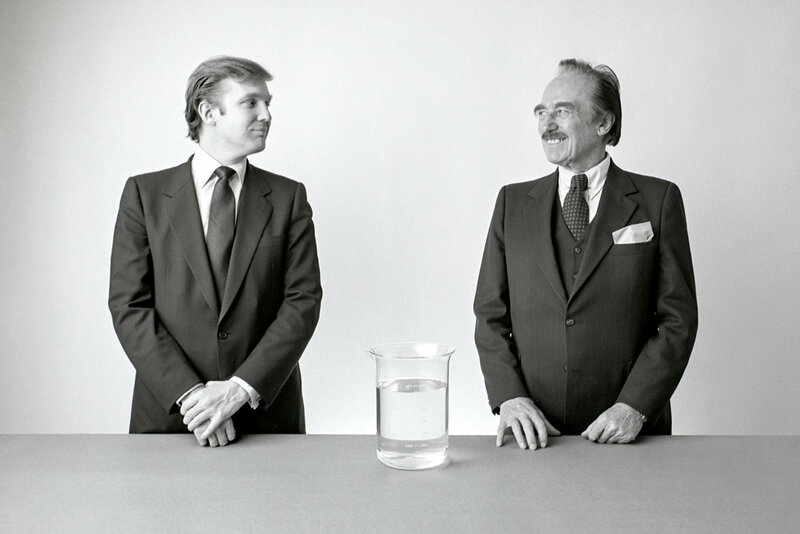 The partnership between Fred and Donald Trump was not simply about the pursuit of riches. At its heart lay a more ambitious project, executed to perfection over decades – to create that origin story, the myth of Donald J. Trump, Self-Made Billionaire. Donald Trump tried to change his ailing father’s will, prompting a backlash – but also a recognition that plans had to be set in motion before Fred Trump died. The Trumps’ plan, executed over the next decade, blended traditional techniques – such as rewriting Fred Trump’s will to maximize tax avoidance – with unorthodox strategies that tax experts told The Times were legally dubious and, in some cases, appeared to be fraudulent. As a result, the Trump children would gain ownership of virtually all of their father’s buildings without having to pay a penny of their own. They would turn the mountain of cash into a molehill of cash. And hundreds of millions of dollars that otherwise would have gone to the United States Treasury would instead go to Fred Trump’s children. Each year Fred Trump spent millions of dollars maintaining and improving his properties. Some of the vendors who supplied his building superintendents and maintenance crews had been cashing Fred Trump’s checks for decades. Starting in August 1992, though, a different name began to appear on their checks – All County Building Supply & Maintenance. The self-dealing at the heart of this arrangement was best illustrated by Robert Trump, whose father paid him a $500,000 annual salary. He approved many of the payments Fred Trump’s empire made to All County; he was also All County’s chief executive, as well as a co-owner. As for the work of All County – generating invoices – that fell to Mr. Walter, also on Fred Trump’s payroll, along with a personal assistant Mr. Walter paid to work on his side businesses. But these savings were trivial compared with those that would come when Fred Trump transferred his empire – the actual bricks and mortar – to his children. The transfer of most of Fred Trump’s empire to his children began with a ‘ friendly’ appraisal and an incredible shrinking act. GRATs are one of the tax code’s great gifts to the ultrawealthy. They let dynastic families like the Trumps pass wealth from one generation to the next – be it stocks, real estate, even art collections – without paying a dime of estate taxes. According to Fred Trump’s 1995 gift tax return, obtained by The Times, the Trumps claimed that properties including 25 apartment complexes with 6,988 apartments – and twice the floor space of the Empire State Building – were worth just $41.4 million. The implausibility of this claim would be made plain in 2004, when banks put a valuation of nearly $900 million on that same real estate. Of all the GRAT appraisals Mr. Von Ancken did for the Trumps, the most startling was for 886 rental apartments in two buildings at Trump Village, a complex in Coney Island. Mr. Von Ancken claimed that they were worth less than nothing – negative $5.9 million, to be exact. These were the same 886 units that city tax assessors valued that same year at $38.1 million, and that a bank would value at $106.6 million in 2004. Splitting ownership into minority interests is a widely used method of tax avoidance. There is one circumstance, however, where it has at times been found to be illegal. It involves what is known in tax law as the step transaction doctrine – where it can be shown that the corporate restructuring was part of a rapid sequence of seemingly separate maneuvers actually conceived and executed to dodge taxes. A key issue, according to tax experts, is timing – in the Trumps’ case, whether they split up Fred Trump’s empire just before they set up the GRATs. Fifteen months later, Fred Trump’s executors – Donald, Maryanne and Robert – filed his estate tax return. The return, obtained by The Times, vividly illustrates the effectiveness of the tax strategies devised by the Trumps in the early 1990s. The meeting followed the usual routine: a financial report, a rundown of operational issues and then the real business – distributing profits to each Trump. The task of handing out the checks fell to Steve Gurien, the empire’s finance chief. Yet if Donald Trump’s sudden push to sell stunned the room, it met with no apparent resistance from his siblings. He directed his brother to solicit private bids, saying he wanted the sale handled quickly and quietly. Donald Trump’s signature skill – drumming up publicity for the Trump brand – would sit this one out. Three potential bidders were given access to the finances of Fred Trump’s empire – 37 apartment complexes and several shopping centers. Ruby Schron, a major New York City landlord, quickly emerged as the favorite. In December 2003, Mr. Schron called Donald Trump and they came to an agreement; Mr. Schron paid $705.6 million for most of the empire, which included paying off the Trumps’ mortgages. A few remaining properties were sold to other buyers, bringing the total sales price to $737.9 million. The first season of “The Apprentice” was broadcast in 2004, just as Donald Trump was wrapping up the sale of his father’s empire. 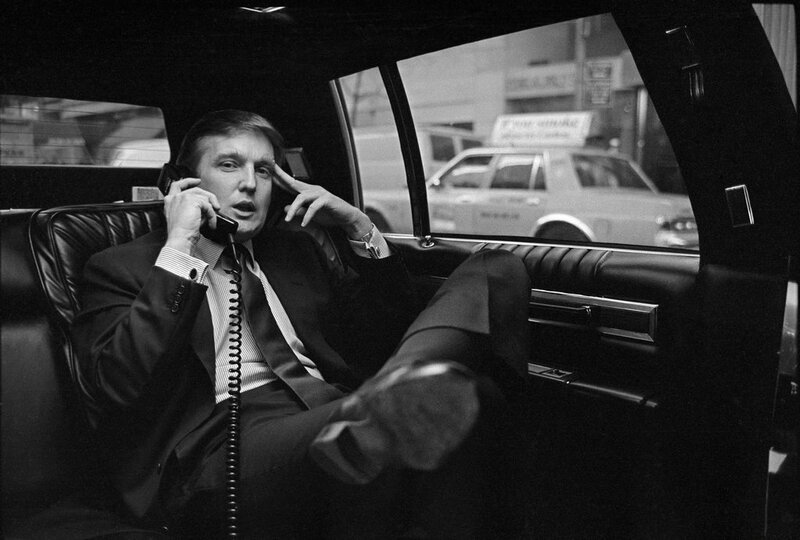 The show’s opening montage – quick cuts of a glittering Trump casino, then Trump Tower, then a Trump helicopter mid-flight, then a limousine depositing the man himself at the steps of his jet, all set to the song “For the Love of Money” – is a reminder that the story of Donald Trump is fundamentally a story of money. Money is at the core of the brand Mr. Trump has so successfully sold to the world. Yet essential to that mythmaking has been keeping the truth of his money – how much of it he actually has, where and whom it came from – hidden or obscured. Across the decades, aided and abetted by less-than-aggressive journalism, Mr. Trump has made sure his financial history would be sensationalized far more than seen. But the more than 100,000 pages of records obtained during this investigation make it possible to sweep away decades of misinformation and arrive at a clear understanding about the original source of Mr. Trump’s wealth – his father.